The Maldives’ embattled president, Abdulla Yameen, has lashed out at persisting international scrutiny over the jailing of his opponents, days after cabinet ministers promised to follow recommendations for reform by the Commonwealth. 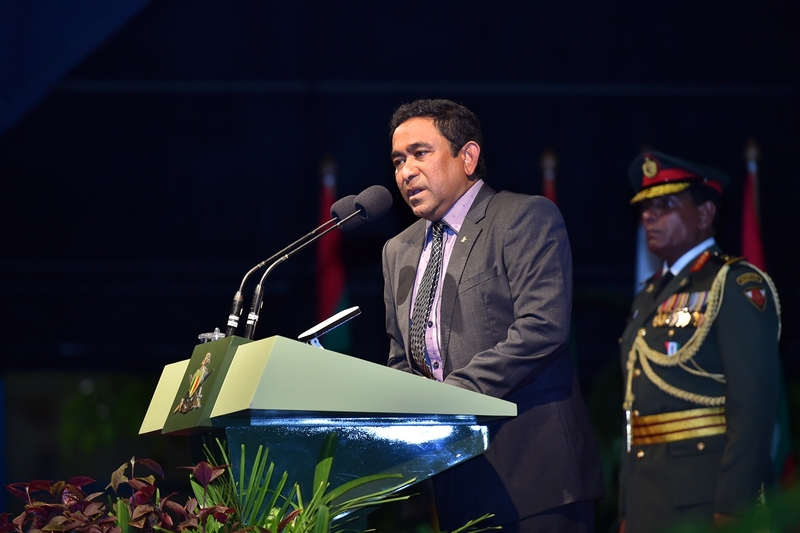 “There are traitors among us,” Yameen said at a ceremony to mark the Maldivian army’s 124th anniversary on Sunday. He urged soldiers to reflect on the jailing of former President Mohamed Nasheed and two former defence ministers, as well as the alleged role played by former and incumbent soldiers in the multiple crises that has besieged his administration. Soldiers must stand ready for ideological attacks, too, he said, revealing plans to introduce military courts to try army officers for criminal offences. Several top-ranking officers and Yameen’s former deputy are on trial over a blast on his speedboat last September. Yameen is meanwhile facing international pressure over human rights abuses, domestic criticism over a historic corruption scandal, and growing opposition from journalists over attacks on press freedom. In his hour-long speech, Yameen blasted the international community, suggesting prejudice by some countries, and went on to defend ruling-party proposed legislation that would recriminalize defamation. 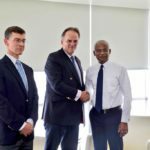 The Commonwealth Ministerial Action Group had urged the government and the opposition to initiate dialogue, and warned of action depending on the Maldives’ progress by its next meeting in September. International scrutiny has been mounting since Nasheed’s imprisonment last March. He was sentenced to 13 years along with his defence minister Tholhath Ibrahim over the arrest of a judge during his tenure. Yameen’s former defence minister Mohamed Nazim was meanwhile handed an 11-year sentence on weapons smuggling charges, and his former ally Sheikh Imran Abdulla, the president of the Adhaalath Party, was also imprisoned for 12 years on a terror charge over a speech made at a historic antigovernment protest last year. Defending the jailing of his opponents, Yameen said: “I believe action must be taken against those who hold weapons in their homes, and against those who unlawfully call for the overthrow of the state, especially when at the end of that activity, a pickup full of petrol breaks through police lines. My conscience believes that a president who orders the arrest of people must be investigated. This is because if we let it go, I fear I myself may become a dangerous and brutal man. He likened the arrest of former Chief Judge Abdulla Mohamed to the kidnapping of a child from outside his or her school. Mohamed was recently demoted to the Family Court on an unspecified charge. Yameen went on to thank India, the United States and Pakistan for military aid, but said the government had no love for those who call for action against the Maldives. Both India and Pakistan sit on the CMAG. “We do not complain to far-away foreign governments about the loss of civil rights of those in their jails. There are Maldivians incarcerated in jails near and far. We do not condemn their systems. In countries near and far, we see political leaders tried and killed for their actions. Those who call for action against us do not appear to see this. Small justice for small nations. Big justice for big nations. The power of the fist is strong. This is unacceptable. But this is reality. This is the basis of international diplomacy,” he said. 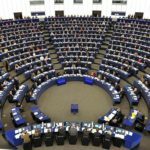 The president once again expressed his determination to pass legislation criminalizing defamation, despite an unprecedented protest by journalists on April 3 over the measure. 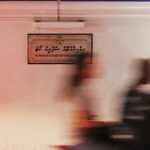 The current MVR4,500 (US$291) fine for defamation was not enough to cover lawyer fees, he said, adding: “It is financially better not to protect your reputation. The other MVR50,000 (US$3,242) could be spent on their wife’s beauty saloon… if you defame others, you must know that the law will catch up with you. 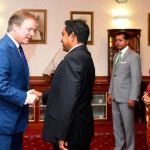 He lambasted three journalists who met with diplomats in Colombo last week, describing the move as an invitation for foreign interference in Maldivian affairs. “When there are issues of concern, we pack up our bags and run to ambassadors outside the country. If this continues, when wives divorce their husbands, all the husbands will then run to the embassies,” he said. 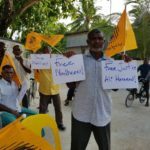 He also bemoaned “betrayal” by former state officials, including former Prosecutor General Muhthaz Mushin, currently on trial on terror charges over an attempt to obtain an arrest warrant for him in February.